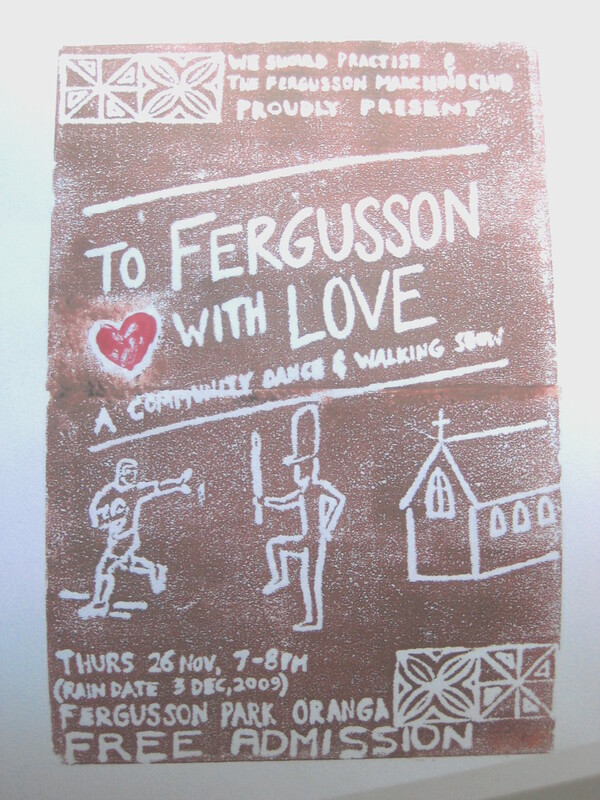 In collaboration with the Fergusson Marching Club, the show “To Fergusson with Love” was created by We Should Practice as a low-key and local community dance and walking show. It took place in, around and out of Fergusson Park in Oranga on Thursday 26th November, 2009 at 7pm . The poster is an original lino cut, designed by Josh Robertson. A massive thanks to Colette Waaka, who took our stunning photos and Genista Juergens, who crafted those beautiful hats on our heads.